Today is the anniversary of the death of my dog Doodles. It has been 5 years since she passed away. I thought today I would celebrate her life, since she is a big part of me and helped me become the person that I am today. A lot of people think, she’s a dog, how much influence can she have? Well, she has given me way more to my life than I may have given her. She has shown me what unconditional love is, companionship, patience, and stability. I know it sounds crazy, but it’s all true. She wasn’t just a dog, but was my best friend. I don’t go a day without thinking of her. It seems like yesterday was the day I had to put her down. That was the hardest decision that I have ever made. I don’t like to talk about this because I still cry, but if you want to read the story about Doodles, you can check out my dedicated page to her. You will read about her life, and see a bunch of photos of her. Just go here. In memory of my precious Doodles, I made Pumpkin Dog Bones. One thing about Doodles is she loved when I cooked. She would be right at my feet waiting for food to drop. Now I have my boy Sampson, who has a lot of the same features as Doodles, like cooking. The only difference is, Sampson steals the food as soon as my back is turned. He’s food obsessed. 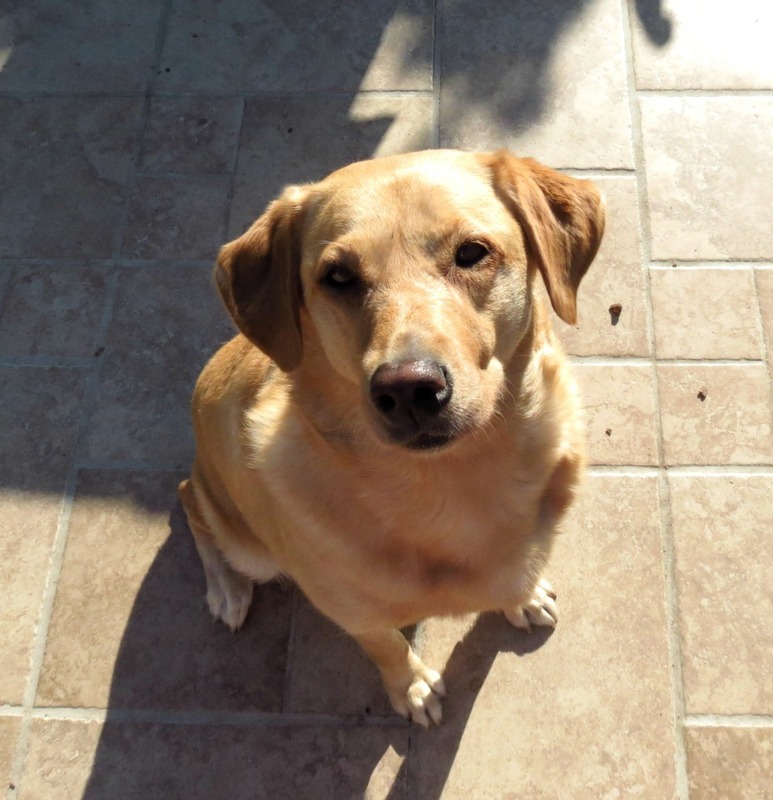 I also have a Golden Retriever Samantha, who I have to admit is the best behaving dog ever. She made one mistake in her adult years and that was stealing my pumpkin muffins. She is one dog that is obsessed with pumpkin. As soon as I open a can of pumpkin she is right there. I can cook anything else and she doesn’t care, but bring out the pumpkin and the game is on. That is why I decided to make Pumpkin Dog Bones. These pumpkin bones are pretty healthy. They are made with whole wheat flour, oats, cinnamon, peanut butter and pumpkin. Every dogs dream, and hey you could probably eat them too, but I can’t imagine they don’t have much flavor considering I didn’t use sugar. I just whipped everything together and rolled them out and cut them into shapes. I went for the dog shape and little hearts. 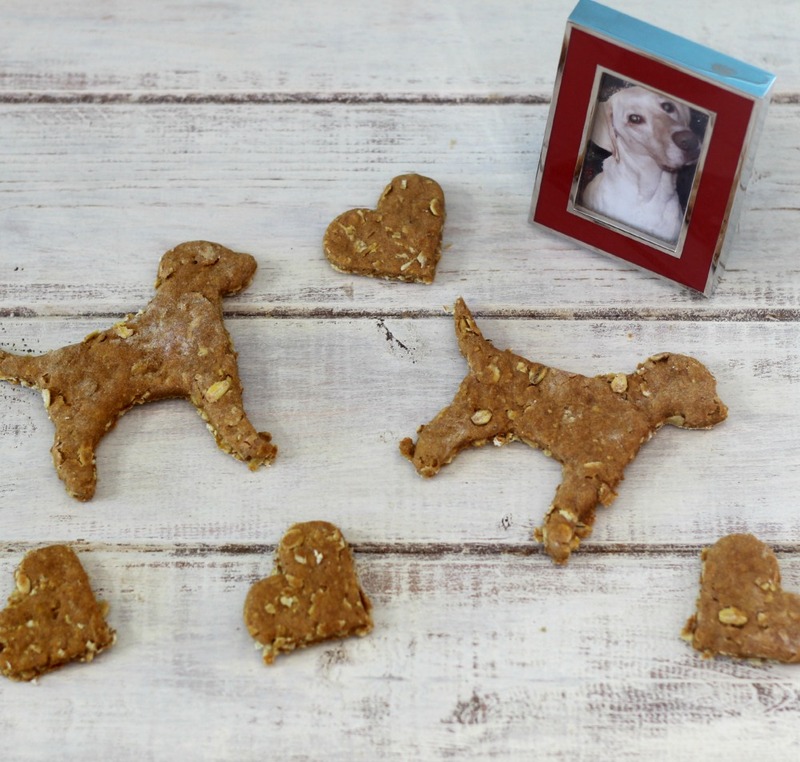 This recipe also makes quite a few cookies for your pups. 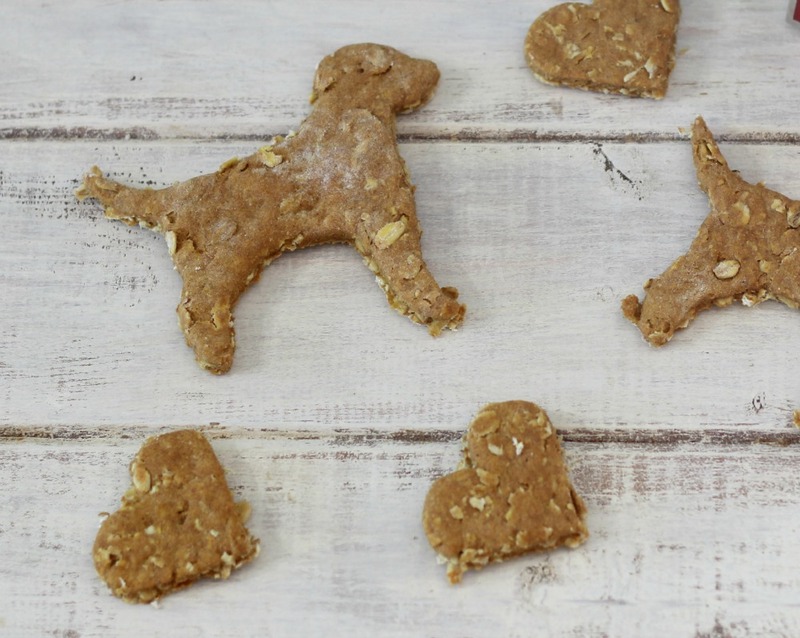 A healthy, simple dog treats made with pumpkin, peanut butter and oats. The perfect gift for dog lovers. In a large bowl, whisk together the flour, oats, baking powder, and cinnamon. In a medium bowl, stir the oil, pumpkin, and peanut butter. Make a well in the flour and pour in the pumpkin mixture. Using a stand mixer, begin to combine the wet and dry ingredients on low. Pour in the water and mix on low, to medium low, until thoroughly combined. Turn the dough onto a floured surface, and hand knead the dough until no longer sticky. 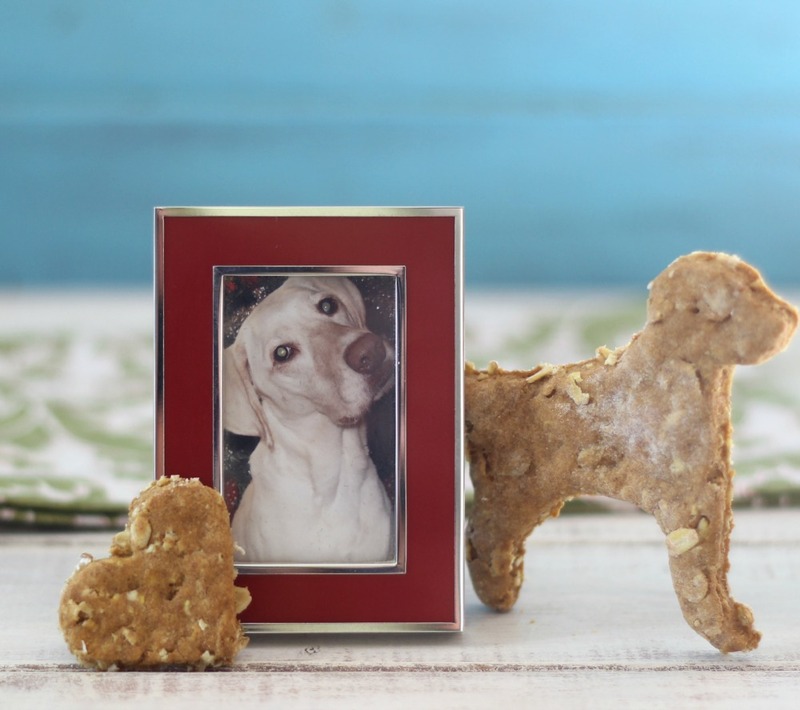 Roll out to ¼ inch thickness and cut into shapes with your favorite dog cookie cutters. Place the cookies on the baking sheet and bake for 12 minutes. Turn the oven off and leave in for another 30 minutes. Can be stored on the counter for a week or two, than refrigerate or freeze. I know today’s recipe is not an adult recipe, but we really can’t forget our furry friends who brings so much to our lives. 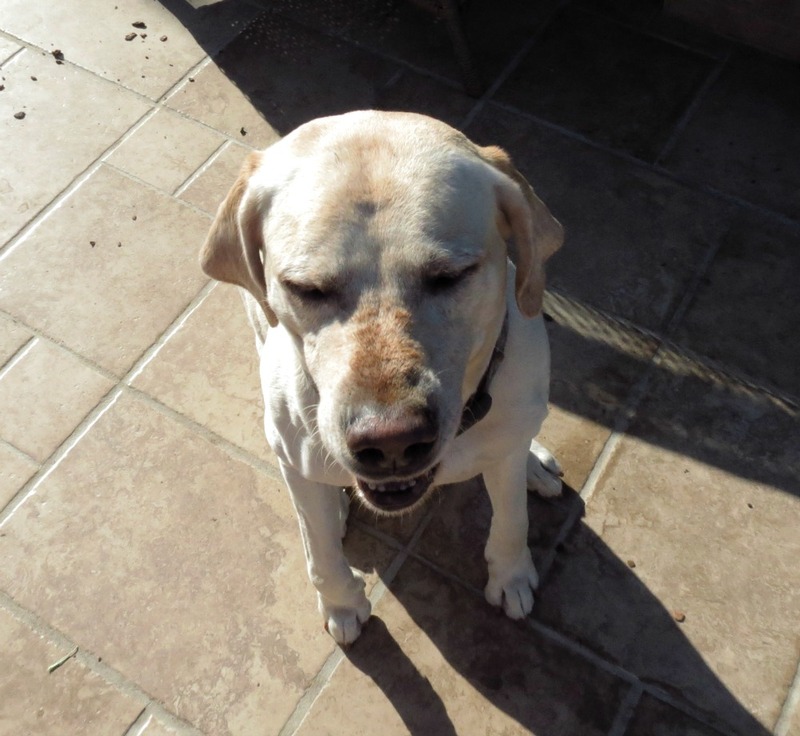 It is amazing the lasting impression that a dog can leave on a person. 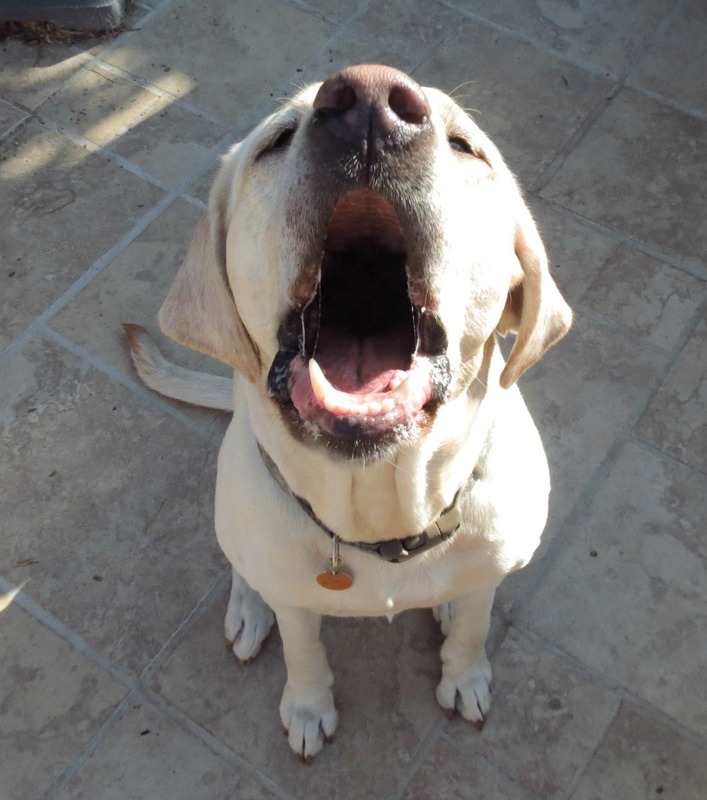 People who have never had the pleasure of having a dog would never understand…. We lost our dog, Jesse, almost 2 years ago. She was really the best dog anyone could have hoped for. Throughout my childhood, my family made some really great memories with her. It was hard to see her gradually fade away towards the end, but she did live a pretty full and happy life. This blog post was really the perfect homage to celebrate Doodles, her life, while also ringing in the fall (mmm…pumpkins!). Those look super yummy, as well. I bet my dog will love these! Can’t wait to make them. Ahhhh, thank you that is so sweet of you to make them in memory of Doodles. You touched my heart and made me smile. I hope Dixie enjoys them and that they are a hit with the Girl Scout Bake Sale. Thank you for contacting me, you made my day.